The death of Professor Dora Akunyili has been described as not only shocking and painful, but a personal loss to the Government and people of Bayelsa State on account of her major contribution to the establishment of the Drug Mart in the State capital, Yenagoa. In his tribute to late Professor Dora Akunyili, Bayelsa State Governor, Hon. Seriake Dickson said, the edifice housing the mart is a telling story of the essential Akunyili as a caring and visionary leader that was always poised to eradicate the prevalence of fake drugs in the state and the country as a whole. According to Governor Dickson, Dora's activist leadership in public sphere caught both national and international recognition and imbued the confidence and hope in our country, clearing the negative perception that public servants are generally self-serving. He described her death as an enigma that will continue to be remembered, because of her uncommon legacy, adding that she came, saw and conquered by her exemplary conduct, which has thought us how we can overcome the malaise of integrity at whatever level of leadership we find ourselves. “She was a rare public officer who was dedicated to duty and made indelible contributions to national development, pointing out that she stood out in the crowd, etching her name in gold” he stated. The Bayelsa State Governor stated that, Dora was a role model as well as an important legacy as a national figure, who craved transparency, commitment to duty and all the essentials of decency in private and public life. Eulogising her, Hon. Dickson noted that, besides her family values which helped to shape her character, Late Professor Akunyili's attainment of western education saw her become a Senior Lecturer and Consultant Pharmacologist in the College of Medicine at the University of Nigeria, Enugu Campus. He pointed out that, Dora started as a zonal Secretary (South East) of the Petroleum Trust Fund (PTF) in 1998, the Director-General of National Agency for Food and Drug Administration and Control (NAFDAC) and Minister of Information and National Orientation, adding that her sterling qualities, while holding these offices endeared her to many and the people of her constituency, which made her contest the Senatorial seat of Anambra Central. While praying for the peaceful repose of her soul, Governor Dickson urged members of her immediate family to always take solace in the fact that, Dora personified all that was good and positive in a mortal and will remain a reference point to present and future generation of Nigerians. 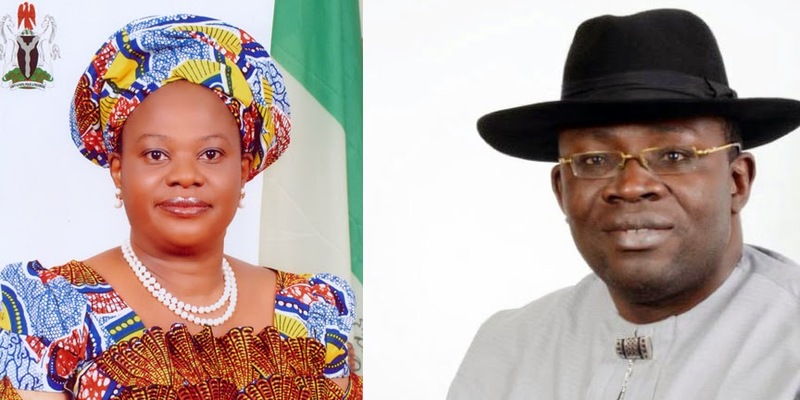 The post Prof. Dora Akunyili is aPersonal Loss to Bayelsa…. Gov Dickson appeared first on Pointblank News .